John Smith’s Bay is the only public beach in Smith’s Parish. It isn’t close to any major hotels or cruise ports so it’s seldom visited by tourists. Locals love it though, and we strongly suggest a trip. The beach is long and wide and flanked by rocky protrusions. The reef lies about 200 meters from the beach but it’s not necessary to snorkel this far to see the wonderful marine life. John Smith’s Bay is popular with families but occasionally experiences rip currents. 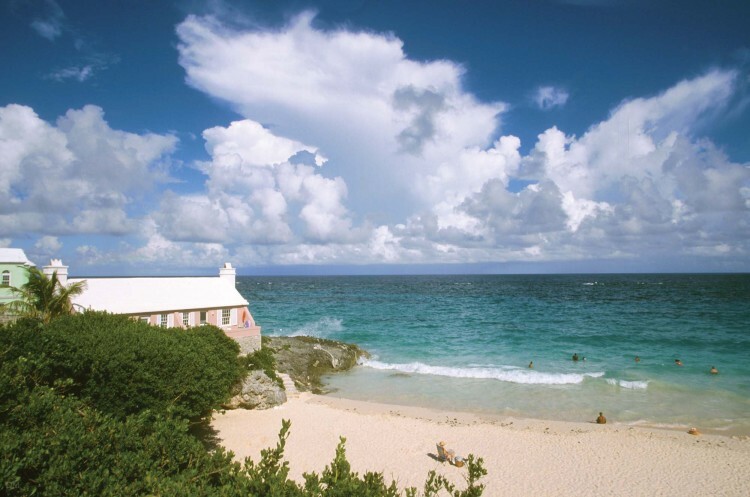 It’s one of the few beaches in Bermuda with lifeguards. They’re on duty every day in the summer months. The beach lies directly off the South Road and is easy to find. To get there by public transport catch bus number 1 from Hamilton or St George. Facilities include restrooms and free parking. There’s usually a lunch wagon on the car park here selling drinks, burgers, fries etc. Visitors can also stop at the Harrington Hundreds supermarket to buy provisions for a picnic. 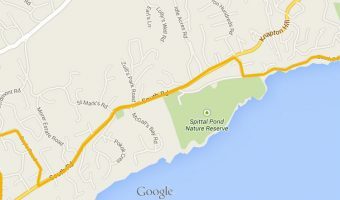 It’s also on the South Road, around 1 mile to the west of John Smith’s Bay. The beach is named after Captain John Smith, one of the early English colonists in Virginia. In 1607 Pochanotas was said to have saved his life after he was captured by the Powhatan tribe. Seven years later she married John Rolfe, one of the passengers on Sir George Somers’ shipwrecked Sea Venture . The union was America’s first recorded interracial marriage. Smith’s Parish is primarily a residential area. However, there’s a few other places worth visiting while in the area. History buffs take a tour of Verdmont, a historic house managed by the Bermuda National Trust. For a relaxing walk visit the nature reserve at Spittal Pond. Map showing location of John Smith’s Bay. It’s a bit of a trek from Dockyard but well worth it. This is the beach I’ll come back to if I ever return to Bermuda. Visited Horseshoe and Elbow but thought this was the best. We love this beach. It’s right on the bus route and a lot quieter than say Horseshoe. Plenty of shaded areas if you need to get out of the sun. The sand is gorgeous and the water clear blue. It’s well worth a visit, even if you’re not staying in the area. This is a great beach that is well off the tourist track. There’s a bus stop right outside. Video of John Smith’s Bay. It was made in June and you can clearly see how quiet it is. The lifeguards don’t have much to do! Reasonably priced diner at Collector’s Hill in Smith’s Parish. A good place to grab a reasonably priced meal if you’re visiting John Smith’s Bay or Spittal Pond.